Ask anyone if they want to be successful and they might snap back with, “Duh”! As if to say, “What kind of question is that”? … of course, everyone wants to be a success! If you dig a bit deeper and ask them how they have achieved success and if they could perhaps assist you to achieve some degree of success, you are often faced with a puzzled look of disbelief. The conversation then veers to more mundane topics like yesterday’s sports scores or today’s weather. It’s easy to see that these people are usually not as successful as they could be. The unsuccessful ask, … “How do you know”? … but the successful know the answer. Earlier this year, I had a good strip torn off my back by one such person. Who was I? and … What made me better than everyone else? My intention was not to be better than everyone else. She had misunderstood the message. My intention was to be better than I was yesterday! Living in envy and resentment was no pleasant chore and it was eating away at her soul. I was fortunate to escape unscathed, … to live another productive and satisfying day. I don’t own a private jet and I don’t even have a yacht to sail my way to the French or Italian Rivieras, but I do consider myself a success, and I can offer you this as proof. I have raised and supported a family, managed to stay out of trouble, and I help others, once in a while. This is not as trivial as it first appears. If you have done any of these, and continue to do them, you know that this is an easy way to define success. How have I achieved this success? Here are my 8 secrets for success. It is nearly impossible to achieve anything without a plan. Without a plan, you have no direction to sail towards. You are the proverbial ship without a rudder. You wander about aimlessly, often blown off course, in every direction that the wind blows. Every ship that leaves a port, has a port to sail to, a port to where it is headed. It is absolutely essential that you formulate a detailed, exact plan of how to reach your goal. Look at this plan every day and fine tune it based on what you learned from the previous day. Follow your plan! Making elaborate plans and now following them is a waste of your precious time. Do not wander about aimlessly. This is your map. You know where you are on the map, and you know where you want to go. Set your bearing, … and … get going! To keep my goal in sight, I need a bearing. I need a direction of travel to follow. Plan your day the night before. In this way, your subconscious mind will be coming up with new and better ideas while you rest and sleep. Set daily goals that support your weekly goals. These weekly goals add up to monthly and yearly goals. This type of focused effort will bring results beyond your wildest dreams. Imagine where you will be next year at this time if you follow such a program. The beauty of it all is, … that it will have been designed by you, and for you! Knowledge is so valuable and so often mentioned that it is no longer a secret. Without knowledge, we are left in the dark. This is why I consider this one to be so important. Everyone who has achieved a higher standing than you have, in anything you can think of, has more knowledge than you have in that specific area. Read at least 1-hour per day. Attend seminars and take courses in your field of endeavour. There are audio-visual courses, audio-books, and public libraries to take advantage of, oh! … and, by the way, did I mention the Internet, the world wide web, and the billions of pages of search results that are easily accessed with the click of a mouse. The easy way to build self-discipline is by developing proper habits. Wake up early, well rested from enough sleep and have a good breakfast to begin your day. Provide yourself 30 minutes of time every day to exercise your body, and do not neglect your studies. 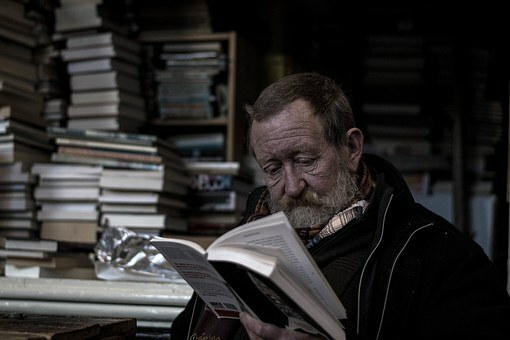 At least 1-hour of reading per day, is a must, to be able to compete in the business world. With proper habits, you will be amazed by what you can achieve. Distractions are the shiny objects, the people that want to go out for a few beers, and that new movie that’s on TV tonight. They are everywhere and they harbour no prejudice. They distract all participants equally. SmartPhones and Social Media, Email and Television have set the world in a whirlwind. This has included us, and our appetite for constant connection and instant gratification. This is how we are robbed of the precious little time we have in a day. Setting goals and achieving them requires focus and application. We all have family and friends that need our attention and support and the time we waste could be better spent with them. You have all heard the expression, … “Time waits for no-one”, … and … “Time flies”. It sure does, and time cannot be captured or purchased, regardless of your wealth and power. Once gone, … it is gone forever! Manage your time with the four quadrants of time management. Everything we do in life is either urgent or not urgent, … and, … it is also important or not important. Once you sort out this concept and how it applies to your daily life, you are going to be in much better control of your time and your life. Simple and straight forward, this is a no-brainer. Always do your most difficult task first. This is when you are the strongest in your cycle. You are fresher and more focused when you are well rested and just getting started. Mark Twain is credited with the following quote, “If it’s your job to eat a frog, it’s best to do it first thing in the morning. And if it’s your job to eat two frogs, it’s best to eat the biggest one first”. Mark Twain is an American humorist and satirist, well-known for his sharp wit and satire. Starting your day with your hardest task lets you know that this is probably the worst that will happen to you all day. If you do not begin your day in this manner you tend to procrastinate and accomplish a lot less than if you “eat the biggest, ugliest frog, … first! From there, your day should get a lot easier. A mentor is a teacher. Our first and best teachers are our parents. All great achievers have parents that have “shown them the ropes” early. I was very fortunate in this respect and I place this one at the very top of my list. In addition to showing me the ropes, they “kept me in between the ropes”. This made things a lot easier and all that remained for me was to provide the effort. Mentors show us the way. They have been there, done that, … got the t-shirt! They became mentors by learning from others, listening, and educating themselves to improve their situations. Mentors can be found at school, at work, or at play, and also in the biographies of great men and women. They are probably more easily found in books, and this is an excellent resource for mentors, but a “live-in-the-flesh” mentor is more likely to be your best bet. Seek a mentor early, make this an important part of your plan and they will shine a light on your path to make it much easier to follow. You can see that these 8 secrets for success are not really secrets, but if you follow them, they will lead you to places beyond your wildest imaginings. I like learning new secrets, and if you have any that you can share with me, I would feel very privileged. Hi Paul – great post with a lot of great information here. I like how you point out that success is both internal and external, it’s about how you feel about yourself and not necessarily about what you own. I enjoyed reading your 8 secrets to success, it was very helpful and intriguing. I will try to incorporate these steps into my routine as well. True success begins when we appreciate who we are and what we have accomplished. Another person’s success is not ours and it could never be. A quick glance at the newsfeeds point this out clearly. Stars?! … with too much money and material to appreciate, often end their lives early and violently. A sad example of the emptiness of their insides. Not being a private jet owner myself, I appreciate your view on the subjectivity of success, life being fairly challenging in its different stages.I know people who would not think me successful at all, yet I do and I focus on what I’m good at now. I’m getting good at affiliate marketing, although I did spend some initial time learning that I did not have to re-invent the wheel on that topic.I see you are, or are approaching being a mentor yourself. It does feel good to share what you’ve learned and help others, doesn’t it? This is how we all get here. Perhaps a different person invented the wheel and was eaten by a T-rex shortly afterwards. Some budding entrepreneur sliding his square wheel down the road grabbed on to this new idea, and the rest is history. Both a success, in their own ways. Happy to hear that you are OK with your achievements.